It's redemption day! 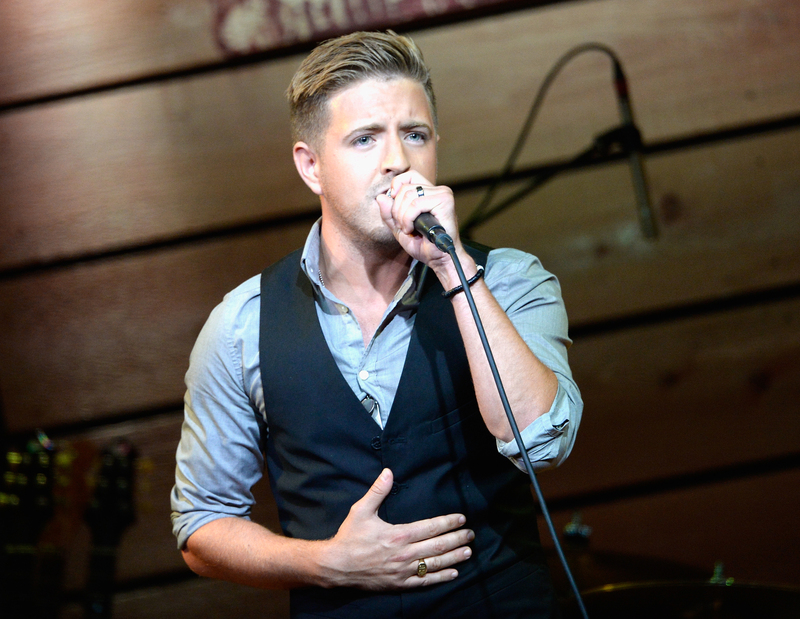 The Voice contestant Billy Gilman is learning that firsthand after earning a four-chair turn during the Blind Auditions. 28-year-old Gilman is no stranger to the music business. At age 11, he became the youngest singer with a Top 40 hit on the country charts. His song "One Voice" earned him two Grammy nominations and early country fame. Gilman went on to have a brief career with Sony Music, but was dropped once his voice changed during puberty. A tough blow, but now he's back to prove that he has rediscovered his sound and I certainly can't wait to watch his journey. Gilman reintroduced himself to the world with a beautiful performance of Adele's "When We Were Young" on The Voice Blind Auditions. The coaches certainly recognized the talent, because all four turned around. After an epic battle between coaches where Adam couldn't sit down, Blake pulled the country card (obviously), Miley touted her connections (Gilman opened for her dad, Billy Ray Cyrus, in concert! ), and Alicia just did Alicia, Gilman made his choice—and it was one none of the coaches expected. Gilman chose to join Team Adam and it was the best choice he could've made. While Blake seemed like the obvious choice for Gilman, it was too safe. If Gilman had joined Team Blake he never would've grown as an artist. Well, maybe a little—but definitely not enough to excel in this industry. Thankfully, Gilman abandoned his country roots and chose to broaden his talents on Team Adam. Adam will be able to challenge Gilman with new techniques and song choices, which will benefit him greatly as a performer. The two will quickly become a dynamic duo—and it's quite possible that they could be together until the very end.